Museum visits can incorporate sketching and a tour of the museum including watching pots being made on the wheel. 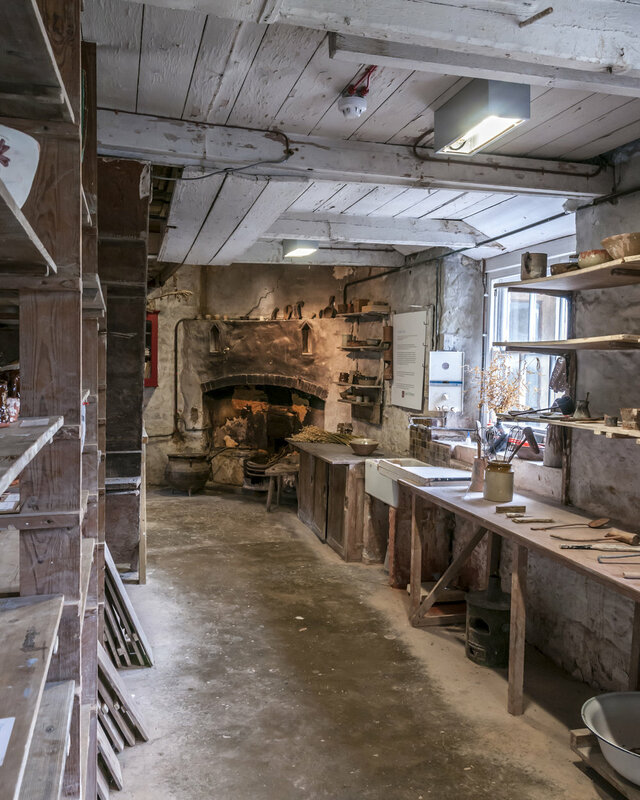 Pupils can explore the old pottery with its original kilns and equipment as well as the new museum and exhibition area. Visits provide the basis for projects incorporating elements of heritage, geography, science, literacy, maths, local history, myths and legends and art and design. We can also arrange bespoke tours and activities. Maximum of 32 students with accompanying adults. A typical visit lasts between 1-2 hours including an optional 32 minute video. Curriculum resources in the Teacher’s resource pack available to download can help you make the most of your visit. One hour tour for a maximum of 32 students with accompanying adults. A typical overall visit lasts between 1-2 hours including an optional 32 minute video. Curriculum resources in the Teacher’s resource pack available to download can help you make the most of your visit. One hour visit for a maximum of 32 students. Demonstrations take place on a Bernard Leach Kick Wheel in the old pottery. The throwing demonstration illustrates the key stages of the throwing process.